Up to 50 Network Cameras (IP addressable cameras) with motion detection! CamSurveillance 2.2 was available as a giveaway on March 15, 2016! CamSurveillance supports you on the way to a secure home or company. Up to 50 Network Cameras (IP addressable cameras) with motion detection are simultaneous possible! There are a lot of settings available for the video window, the motion detector and the action at motion detection. CamSurveillance supports you on the way to a secure company. Adjust up to 50 IP addressable network cameras with motion detection and run them simultaneously. How would you improve CamSurveillance 2.2? Allow entry of camera password. 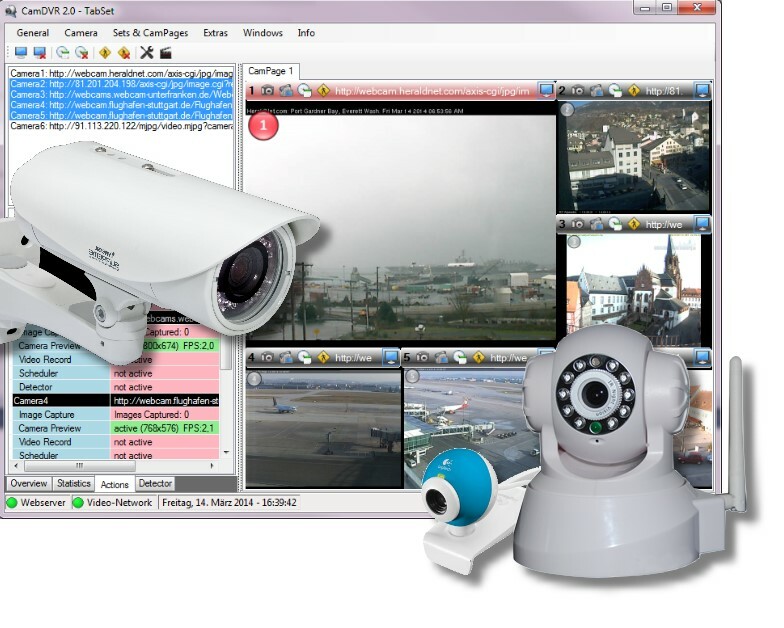 CamDVR is a powerful software solution for all video devices, like IP-Cams, Webcams, capture cards and much more. The program supports an unlimited number of video devices, doing unlimited surveillance and scheduler tasks. The (motion) detector performs image comparisons, face detection and other special tasks. 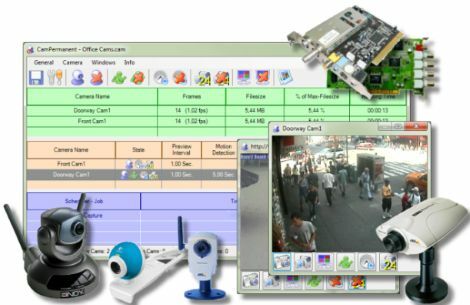 CamDVR turns your PC in a digital video recorder without the need of extra cost intensive hardware. 24/7 permanent recording from all connected cameras with motion detection is possible. When the program detects motion, it can start one or several pre-adjusted functions. The program comes also with a function rich scheduler, so all tasks can be programmed in advance. CamUniversal is the ultimate solution for all of your video demands. 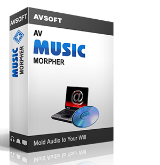 It supports Webcams, IP-Cams and all video devices which are working with an up to date driver for Windows. Additional it includes a network server client functionality to send the video from all cameras from one server PC to all connected client PCs. The number of cameras is not restricted. For professional and private surveillance purposes there is a built-in motion detector which has numerous functions. CamPermanent is the ultimate solution for all of your video demands. It supports Webcams, IP-Cams and all video devices which are working with an up to date driver for Windows. The permanent record functionality makes your PC to a digital security center. Record from all connected cameras permanent 24 hours 7 days a week. Each video can be adjusted in size or record length. Additionally, there is a network server client functionality to send the video from all cameras from one server PC to all connected client PCs. The number of cameras is not restricted. For professional and private surveillance purposes there is a built-in motion detector which has numerous functions. Tried to install but always fails. Re-downloaded twice and tried disable of AVG but still will not install. Please fix this so we can get it installed!!!! This is Julia again, sorry for the double entry... I just disabled my AVG and it installed properly. I wish I had tried that yesterday.... ugh... LOL.. It supports IP, USB cameras and capture cards and microphones, IP camera login, Pan Tilt and zoom controls if camera supports them and can be accessed via http commands, user definble motion detection and plugin facility for 3rd party features like ANPR etc. Oh and the basic locally accessable version is free and open source, they only charge for remote site access via their server which you do not have to take. My personal recomendation is for iSpy from ispyconnect.com, It supports IP, USB cameras and capture cards and microphones, IP camera login, Pan Tilt and zoom controls if camera supports them and can be accessed via http commands, user definble motion detection and plugin facility for 3rd party features like ANPR etc. Oh and the basic locally accessable version is free and open source, they only charge for remote site access via their server which you do not have to take. I tried it before and was disappointed, when I proceed to record any of the 3 cameras I had, the computer crashed all of the times and it is not my computer, I have very powerful CPU and 64GB memory. This software will consume every bit of memory available and running other applications at the same time it is impossible. I tried it before and was disappointed, when I proceed to record any of the 3 cameras I had, the computer crashed all of the times and it is not my computer, I have very powerful CPU and 64GB memory. This software will consume every bit of memory available and running other applications at the same time it is impossible. "Useless if you have a login to access the camera, no way to enter the necessary info; User name and password." "Does not offer user name and password to view camera"
Maybe surprisingly this was not in the manual, nor in the FAQ, but one of the few threads in their forum. "The username and password must be integrated into the URL. the camera must be your own network .. in case one is wondering how to access ..
Useless if you have a login to access the camera, no way to enter the necessary info; User name and password.